This book was so good and a very quick read. It a middle grade book. I enjoy the story and the two main characters a lot. Cassidy and Jacob, I love the bond they have together. After Cassidy die Jacob had been by her side ever since. They both ghost hunting together. It fun how the interact with each other throughout the whole book. What new adventures await for the these two in City of Ghosts? Looking for something for Halloween and light read then check out this book. It has some twists and turns you don’t see coming. Hopefully there a book two. Just in a mood for some fiction. Getting ready for a signing with those author next Friday. Getting ready for a thriller and blog next week with Dare You to Lie. What everyone reading this week? This book was so bloody awesome. I loves just about everything in it. The two main characters I did enjoy so much. So looking forward to book two. I loved Nita and Kovit story. It mostly Nita story but she team up with Kovit. Nita love to dissect dead bodies and Kovit enjoys to torture people. They both have high morals and try to be good. I liked their bond they have as they try see the good each other. Can they really trust each other to escape from the horrors they are facing? I recommend this book for older teens. There a lot of gore and body parts in this book. The story has tons of magical creatures like vampires, unicorns and ghouls. It such an original story that I have fallen in love with. Hope more readers get a chance to enjoy this book. I was so excited to return to Fear Street. These books got me hooked onto reading. What I love about R.L Stine you can read them out of order. The curse is explain in the beginning of the book a bit for those who don’t remember years ago. Also the book can be fore new and old readers a like. The story there is a curse years ago between the Goodes and the Fears. Yes I forgot what it was. Lucky the books of the story is released in the young adult section. Yes now onto the book with a curse. Who say getting marry was gonna be easy? When your a fear and a deadly curse is placed on your family. It up to to one sister to save her family from the curse and rekindle her sister bond. Will she make it in time? This book was a quick read. Love the little back story on how the curse started. You get to see the whole family interact with each other, find out why the sisters are not as close as they seem to be. Lots and hidden secrets with the fear family and some magic to along the way. For new reader and old ones alike. I did liked the story idea of this book. The cover is also pretty looking. I did like some of the characters in the book. I like Amani in the book. Thought she was brave to stand in for the princess. Also thought she was foolish at time like for falling in love with the prince, while her life was on the line. How long can Amani last on pretending to a princess? Thought the book was a slow pace read to me. It could have been action packed but it’s just me. If you guys love slow pace read then you might enjoy it. If your unsure to read the book then try it out at the library. The ending did make me a little curious on what happens next. This book comes out next week the 28th. I really did enjoy this book. It was action packed and fun. The story and the cover alone had me drawn to the book. I did enjoy some of the characters. There will be a lot of characters to like or hate in the end. Caledonia, I did liked her in the book. The bond she has with her crew is touching. She hides a dark secret about her old crew family. After what happen to her family she bent on revenge. Will she become consume with revenge to risk her new crew lives? This book has lots of death and a ending leaving you wanting more. Looking for adventure on the high seas then add Seafire to your list. Comes out August 28th. You won’t be disappointed. Jacobs is available now and that I get to share the news! the difference between life and death. For me, and everyone I love. harem featuring one woman and her four mates. 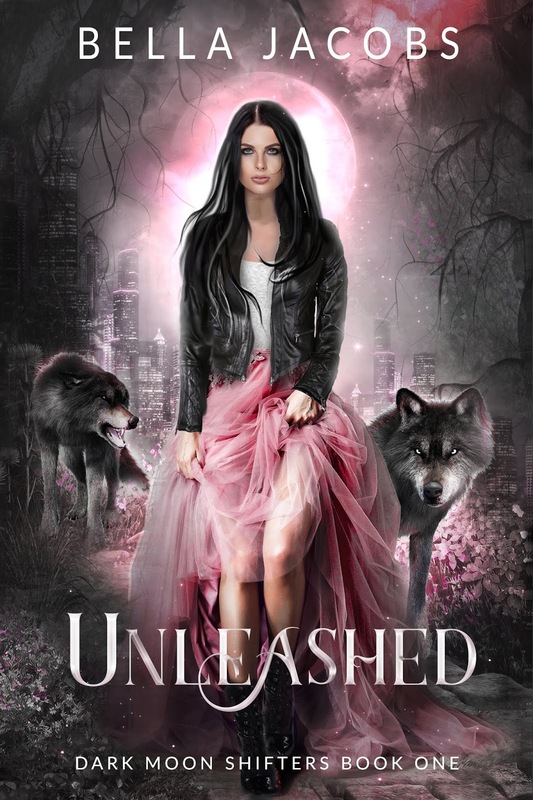 winner will win a signed paperback of UNLEASHED, US Only. winner will receive a Moon Charm (photo below), US Only. https://widget-prime.rafflecopter.com/launch.jsCopyright © 2014*, Rockstar Book Tours, All rights reserved.